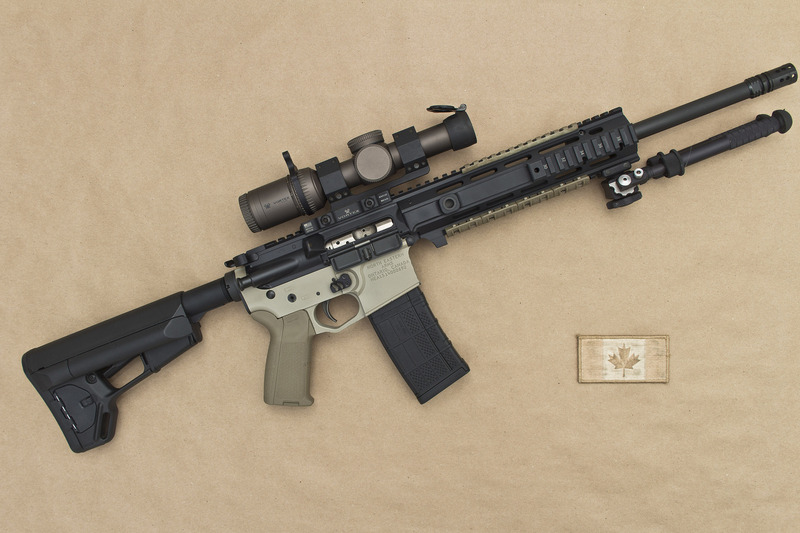 This rifle is part of the Canadian Future Small Arms Research (FSAR) project. 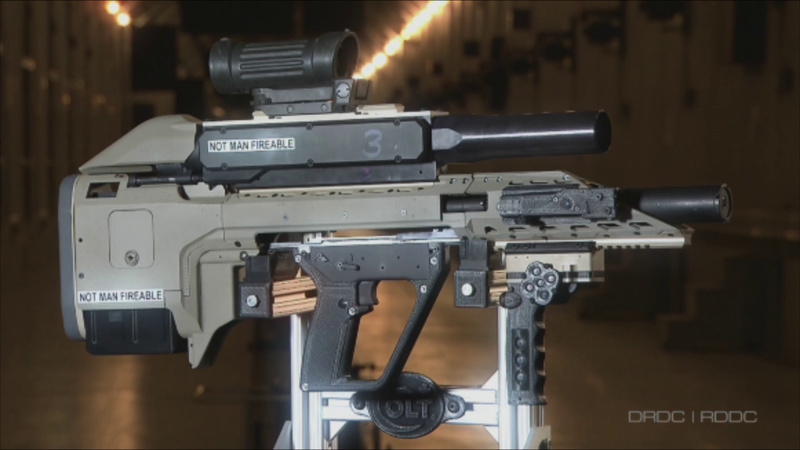 Developed with the Canadian Forces through the Soldier Integrated Precision Effects Systems (SIPES) project. A bullpup design that features the ability to install either a three round 40 mm grenade launcher, or a 12-gauge shotgun. The next phase will feature a TrackingPoint style system to automatically detect targets and assist in engaging them. You can see them test fire several types of munitions below. 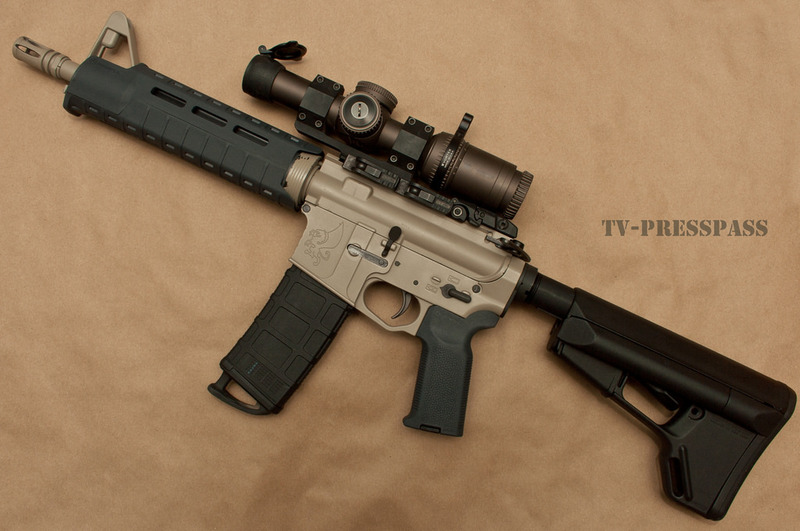 Watch for the 5.56 ejection! There’s some obvious similarities between this system and the US’s early OICW program. 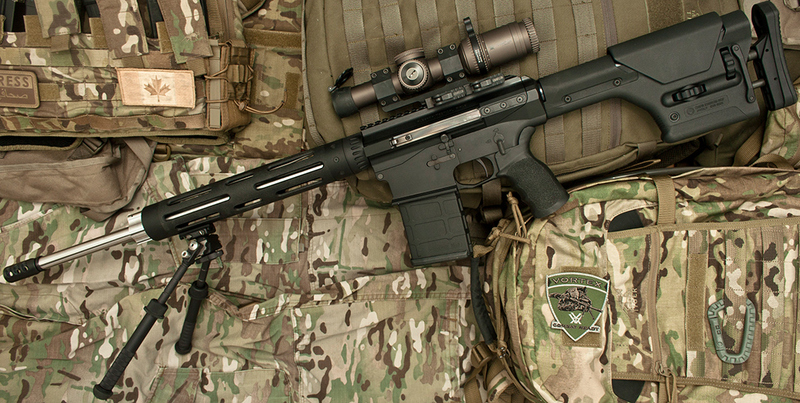 Although the article describes this prototype as being lighter than a conventional C7 & M203 combo.